For the episode of The Vampire Diaries, see Fade Into You (The Vampire Diaries). "Fade into You" is a song by rock group Mazzy Star from their album So Tonight That I Might See. The song was written by lyricist Hope Sandoval and composer David Roback, who also served as producer. It reached number three on the Billboard Modern Rock chart in 1994, and is Mazzy Star's only single to make the Billboard Hot 100, peaking at number 44. The song also charted at number 48 on the UK Singles Chart. The group had two other songs make the Modern Rock Top 40 ("Halah" and "Blue Flower"), but they did not approach the success of "Fade into You". Pitchfork Media included the song at number 19 on their Top 200 Tracks of the 90s. Australian alternative music radio station Triple J ranked the song the 32nd greatest of 1994. J Mascis (of Dinosaur Jr.) covered the song in 2014 and performed it on Late Night with Seth Meyers. Two music videos were completed for "Fade Into You." The first was directed by Kevin Kerslake and premiered on MTV in late October 1993, several weeks after the album's release. It features the band performing in front of a projection depicting white clouds in a black sky, and is interlaced with slow-motion footage of the band in various locales in the Mojave Desert. Portions of this video were filmed at the same location U2 shot the artwork for The Joshua Tree. A second music video was directed by Merlyn Rosenberg and first aired in February 1994. Known as the Black and White version for its monochromic content throughout, the intentionally grainy, distorted footage shows the band performing in a darkened Burlesque-era ballroom, and is interspersed with footage of Sandoval and Roback at various sites around San Francisco, including the All Seasons Hotel (now the Crescent Hotel) and neighboring Stockton Street tunnel, coupled with genuine footage of the same sites shot in the 1930s. Only the latter music video was broadcast internationally. All songs written and composed by Hope Sandoval and David Roback, except where noted. The song can be heard in the films Angus, Starship Troopers, Swept Away, Lord of War, Burlesque, End of Watch, Chasing Mavericks, The To Do List, Thank You For Your Service and American Honey along with the television shows Gilmore Girls, Roswell, Without a Trace, Cold Case, CSI: NY, Person of Interest, Fringe, Waterloo Road, My Mad Fat Diary, American Horror Story: Hotel, True Blood, Psych, Friends from College, Ray Donovan, Felicity, Californication and Suits (Ben Harper version). 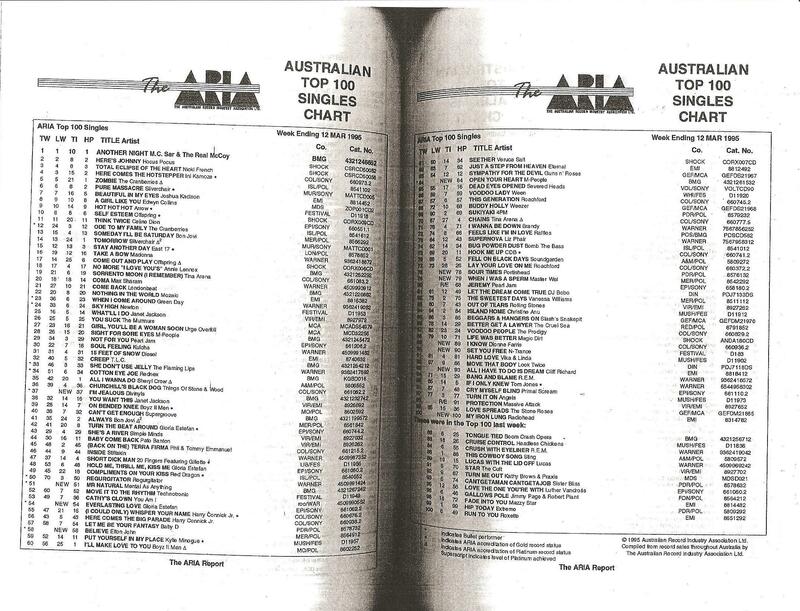 ^ "The ARIA Australian Top 100 Singles Chart – Week Ending 12 Mar 1995". Imgur.com (original document published by ARIA). Retrieved 2017-02-09. ^ "Top RPM Singles: Issue 2662." RPM. Library and Archives Canada. Retrieved July 13, 2018. ^ "Official Scottish Singles Sales Chart Top 100". Official Charts Company. Retrieved July 13, 2018. ^ "Official Singles Chart Top 100". Official Charts Company. Retrieved July 13, 2018. ^ "Mazzy Star Chart History (Hot 100)". Billboard. Retrieved July 13, 2018. ^ "Mazzy Star Chart History (Alternative Songs)". Billboard. Retrieved July 13, 2018. ^ "Mazzy Star Chart History (Pop Songs)". Billboard. Retrieved July 13, 2018. "Common Burn" / "Lay Myself Down"
"I've Been Let Down" / "Rose Blood"
"Seasons of Your Day" / "Sparrow"